The bear wokes up in Rauna, Finland! Northern Lights, Aurora Borealis, Lapland, Finland, in the winter of 2011 - Watch the magic mysterious lights! Santa from Rovaniemi, Finland - Merry Christmas!! 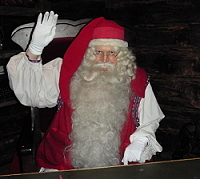 The Santa on the displayed photo is living in a cave in Rovaniemi in Finland. It`s called The Santa Claus Park, which is connected to the Santa Claus Village located nearby. 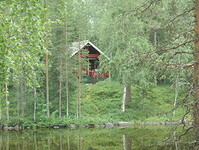 The park was in 2007 awarded by Topworld International and placed as the second best Travel Adventure in Finland. In the huge cave Santa receive eager visitors who make their wishes for Christmas. 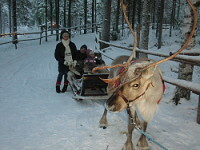 Rovaniemi, Finland - Christmas, Santa Claus, husky driving, reindeer tours and more - Watch the video clip! Rovaniemi, Finland - Fun on snow by husky driving - Part 2 of 2! 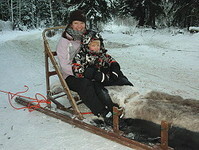 Husky driving has become a popular winter recreation and sport in northern Finland. There are two main qualities that are expected of sled dogs: endurance and speed. The dogs are trained for different purposes. Racing sled dogs will travel up to an average 20 mph (32 km/h) over distances up to 25 mi (40 km). 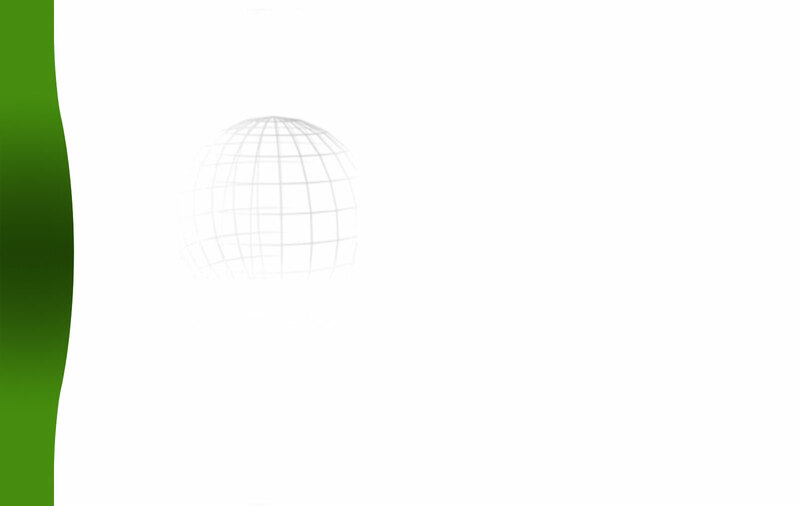 That`s what I call real fun on snow! Soon time to do it again. Last Christmas (2010) I jumped on a sledge and experienced the high speed and exhilaration of a husky drive in Finland`s wilderness. I was highly inspired by the novel The Call of the Wild, written by the American author Jack London. Dog sledging is really something for they who like to have fun on snow. 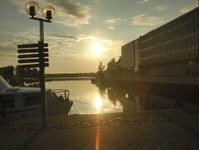 Oulu, Finland - One of the world`s most beautiful cities! Oulu, Finland, sunset on Sunday 10th July 2011. The photo was taken from Oulu`s Market Square shore. It was a magic evening at the harbour area. 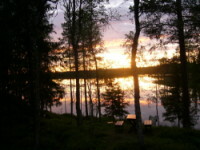 Taivalkoski, Northern Ostrobothnia region, Finland, Soumi - Adventures in the wild forest! Near Taivalkoski in northern Finland I have spend my summertime during years to reload my batteries and enjoy the wild nature. There in the deep forest I found a true peace and silence. I have also experienced the magic of sunset. Actual it`s the midnight sun. In Taivalkoski I don`t have to think about time. I am really feel I am living! Rovaniemi, Lapland in Finland - Get most out of your travelling! Take a trip on the wild side. Cross the Arctic Circle, which is located circa 8km north of the town in Rovaniemi, and meet the beardie-weirdie Santa Claus in Santa Park, saying ho, ho, ho, ho. This place is the official residence of Santa Claus. Here he greets visitors. The adventure park is Finland`s answer to Disneyland in Florida. Both adults and children can have fun here, especially in the wintertime. But Rovaniemi has a lot more to offer than Santa Claus. 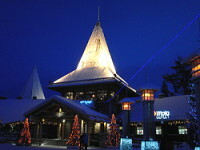 Santa Park, Rovaniemi, Finland - Jingle bells, jingle bells, jingle all the way! Santa Claus himself receives visitors in his old timberbuilding deep in an underground cave. He sit by his working table and welcomes both children and adults. Here we made our secret wishes to Santa. Oulu, Finland - the Arctic Gateway! 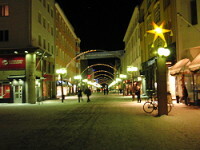 Christmas and New Years celebrations in Finland 6th largest city Oulu. Happy New Year! Pudasjärvi, Pudasjarvi, Finland, Santa Claus - Happy Christmas Celebrations in Santa`s land! 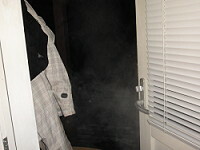 Stepping out in the couldness after the sauna on the Christmas Eve is something I don`t forget. It was minus 17 degrees in Pudasjärvi, Finland, Soumi, and it was just perfect temperature for cooling down I have been heated in the sauna. Enjoying sauna, rolling in the snow, throwing snow balls on each others and running naked around the hus, it was just what the Finns do when it`s Christmas Eve.